Over the years, the Hotel Vajolet in Tiers in the heart of the Dolomites has made a name as a hiking hotel and family hotel. Hiking in Tiers am Rosengarten is a wonderful opportunity to get close to the nature and actively participate in the summer. The mild climate is ideal for extended hikes. 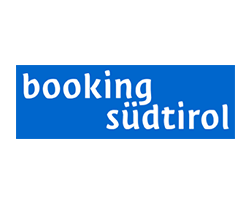 So you can enjoy the hiking holidays in South Tyrol during the many hours of sunshine and do not get overly sweating. In addition, everyone will find the right hiking trail. Whether you want to go for a leisurely stroll with a baby carriage, or prefer alpine tours, hiking in Tiers am Rosengarten is a great experience. Learn the kingdom of King Laurin, hike through dense forests and from farm to farm, or imitate the alpine ibex and conquer the peaks of the Rosengarten! Each tour has its own charm and offers you some surprising views. You can go hiking in Tiers am Rosengarten on hundreds of different trails. There is something for every taste and every condition. We would like to introduce you to some of the most beautiful hiking tours that you can take from our hiking hotel in the Dolomites. From Tiers, you will walk along path no. 6 near the school building and reach the Völsegg farm. 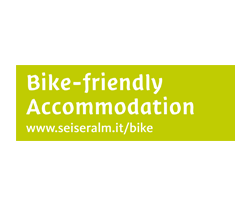 Here you can enjoy a wonderful view of the village of Tiers, the Rosengarten to the east and the city of Bozen to the west. From Völsegg, the path leads you to a wayside cross located north of the farm. To the left of the wayside cross the path, marked with 6 U, leads to the “Schönblick”, a small, open hut station. From the Nigerjochhaus (farmed), route no. 7 leads first to Baumannswaige; just before it, a path branches off to the right, you follow this and soon reach the tree line; at the same altitude you will walk over the King Laurin Trail, below the Laurinswand and the Rosengarten. The path takes you to the Hanickerschwaige (farmed, 1.5 hrs.) and then to the Plafötschwiesen on path no. 7. On the descent, you will reach St. Zyprian or to Runggun on the Nigerstraße crossing alpine pastures with a view of the Rosengarten massif; from there you have the possibility to get back to the starting point Nigerjochhaus on foot or by bus. The forest trail No. 1 begins at the Nigerpasshaus and runs partly flat, partly slightly upwards and downwards through the forest to the Hagneralm. From the Hagneralm you walk the trail about 100 m and turn on the trail no. 4 to the Schillerhof. From there you get back to the starting point. The starting point is the car park at the Völs Lake, from where the trail marked with number 1 leads through the Schlern – Rosengarten Nature Park. A little bit above the Völs Lake the path passes by a second pond and from there finally rises in many turns and passes by beautiful viewpoints to the Tuffalm (1,274 m). We combine the short hike from Tiers to the entrance of the Tschamin valley with a visit to the Schlern-Rosengarten Nature Park visitors’ center. The walk is far away from the traffic and can be done by anyone without any problems. In addition to a large number of fossil paintings and a mineral exhibition, the visitors’ center also offers an interesting picture gallery as well as educational images. The focus is on natural history, especially the history of the Dolomites. In the immediate vicinity of this interesting facility is a geological exploration route with a graphical representation of the rock layers created during the course of the earth’s age. It gives information about the Bozner quartz porphyry, about the Grödner sandstone and the Seiser layers, which lay on the Werfener layers. The Schlern-Rosengarten Nature Park center is interesting not only for adults, but also for children. Due to its particular location, this place is easy to reach; to the car parks of Weißlahnbad you can also drive by car. Directly from the hotel you go up the Kirchsteig. The trail first leads through meadows before crossing into an asphalted road. Turn right to Wuhner forest path and reach Weißlahnbad at 1200 m. Now we walk along the edge of the forest, passing by the parking lots, down to Tschamin brook. A small bridge leads over the brook to the Tschaminschwaige and the famous Schlern-Rosengarten Nature Park center. This is housed in the old Steger saw. In the summer months, a sawmill opens a small water channel once a week, activating an impeller that sets the old Venetian saw in motion. After the complete restoration of the operating system and the wooden drive control, the system is again functional. During the opening hours you can even watch the sawing of a large spruce stem from the immediate vicinity. The starting point of Niger Pass is best reached by bus, which is a 1 minute walk from the hotel. From the parking lot at the Niger Pass (1690 m), a forest trail (marks 1 and 7) branches off in the direction of Baumannswaige and Hanigerschwaige (signposts) and leads up steeply through the forest. Just before the Baumannschwaige (1845 m) the Schwaiger brook is crossed. In the shadow of the spruce forest you always climb up the mark 7 up to 2000 m. Then you walk almost over extensive mountain meadows below the Laurinswand and the Vajolet towers and enjoy the beautiful view into the Tiers valley. Through short wooded sections and meadows, we descend down into the hollow of Hanigerschwaige (1937 m), a popular destination for refreshment because of the delicious Kaiserschmarrn. From here you can go back the same way or descend to Tiers and end the circular hike completely. Shortly before the Hanigerschwaige, a connecting route leads through the forest to the Niger Pass road. We advise, however, to walk through the pasture and follow the trail on the right side of the valley towards the north. You reach the Angelbach and follow the path 7 downhill, continue over a small bridge to the forest path. Follow this road until you reach the junction of the hiking trail 7 which leads to the right to the Plafötsch-Alm. From Plafötsch you have a unique panorama view on the Rosengarten with its bizarre rock faces, the Vajolet towers and the Laurinswand. Behind the edge of the Niger Pass, the impressive image of the Latemar group appears. After the alpine huts of Plafötsch you come to a lattice (road block) and a beautiful wayside cross with a bank to linger. Now go downhill, always along mark 7, first to the meadows with the small wooden sheds (1465 m), then through the forest down to the turn no. 3 of the street of St. Zyprian. From there either by foot or by bus back to Tiers. From the new retirement home in Tiers, the path leads downhill. Walk along the river to the Ganne and then get back up to St. Kathrein. Return by bus. You start the hike at the Chaminwawaige directly to Weißenlahnbad and go through the green Tschamin valley first on a forest road and then on path 3 to the Rechter Leger. At the end of the Tschamin valley(1890 m) you do not climb up to the Grasleiten hut on the right, but on the north side into the wild gorge of the Bärenloch. The ascent takes place on rocky terrain and requires safety and exercise. The upper section is partially secured. At an altitude of 2350 m, you meet the path that comes from the Schlernhäusern. From here you reach the Tierser Alpl in around 15 minutes. We start the circular walk in the village square in front of the house of the village community in Tiers (parking is available) and walk first on a shady dirt road towards the east. Already we meet the first crossroads. The crossroads are located quite steep and lead straight up to St. Sebastian; we choose this path for the descent. After a short climb you reach extensive meadows. Now we continue straight to the Pattissenhof. Here we turn left onto an asphalted road and continue westwards to the fork of a forest road. In a few bends we get up to the forest and follow the path to the church of St. Sebastian. The return path runs along the steep path (mark 4) along the valley-side fencing of the church. On the hillside at 1166 m (VIII station, signpost “Naturpark Schlern”) turn left and walk along a wooden fence until you reach the ascent at the height of the V station (note “Tiers”). From the car park in Tiers, follow the signs “No. 4” Tschafon and Völsegg “and walk along a narrow asphalt road (mark 6) towards the northwest. Above the Tischler-Hof the path leads through a forest section. To the valley, the view opens onto gently sloping mountain meadows. In spring and summer, you will discover granny’s bonnets in different flower colors. A bit further up, after a road block through a barrier, you reach a precipitous rock formation. At this point you can enjoy a particularly beautiful view into the valley to the Bozen basin. Also from a geological point of view, this place is very interesting: an erosion ditch lies in front of us, the deep furrows reveal the red soil of the underlying rock. On the way to the Völsegg hamlet there is always a bank for resting. After the houses, a short wood track follows, before you reach a wayside cross, called Völsegger Bild (1247 m). From here you could continue the hike westwards towards Schönblick, but we continue in the opposite direction. Two paths lead eastwards into the forest; we propose to return to Tiers on the lower road (6U). At an altitude of 1166 m, you reach a road junction or the eighth station of the crossroads of Tiers to the small church of St. Sebastian (path 4). If you want to descend quickly to Tiers, you can easily follow path 4 signposted as “Tiers”. We suggest to start the hike in St. Zyprian (parking lot Runggun). The trail runs almost flat and then climbs briefly to the meadows of Rungun, from where you have a wonderful view of the entire Tiers valley. Along the way there are always benches for rest. We continue through a forest ridge to the Tschamin valley. You come to a road block and shortly before the second barrier you see a steep path on the left hand side, which comes from Weißlahnbad or from the Tschaminschwaige (1175 m). Also these places can be considered as a starting point for the hike, not least because they have larger parking spaces. So we walk through the green Tschamin valley and soon reach a larger meadow from whose right side a broader path branches off into the forest. We stay on our path and go straight on. Shortly afterwards we cross the Tschamin stream. The path becomes somewhat steeper, and we reach a small clearing (Schafer-Leger) with a bench. Then, for the second time, we cross the Tschamin stream on a small bridge and reach the right hand side with a small alpine hut. In the meadow in front of the hut, there is a carved crossroads with a bench to linger. From here you can see the peaks and foresights of the Rosengarten, especially the Grasleitenspitzen (2672 m) and the Valbonkogel (2824 m). We walk from Compatsch, which can be easily reached with the orbit of Seis, on an asphalt road to the Gasthaus Goldknopf (2080 m). From there, it climbs westwards on path n. 2 below the Rosszähne at first slightly ascending, then ever steeper up to the Rosszahnscharte (2499 m). If you do not want to go to the Goldknopf, you can take the chairlift up to the Hotel Panorama (2009 m) and from there you can walk up the path n. 2 over the Ladinser Moos to the Goldknopf. After the crossing of the Rosszahnscharte it almost goes flat till the Tierser Alpl (2440 m). Now descent following the signs 3-4, starting from path 3, it goes rather steeply down through the Bärenloch into the Tschamin valley. The difficult places are secured by wire ropes. At the end of the valley, at an altitude of 1,890 m, you arrive at the mouth of the Grasleiten valley, where there is also the same-named alpine hut. From here the hike leads through the green Tschamin valley to the Chaminwawaige near St. Zyprian. From Vigo di Fassa (1413 m) we take the cable car up to the higher plateau of Ciampedie (1996 m) and walk from the nearby Negritella hut on path 540 to the Catinaccio and Gardeccia alpine huts (1950 m) in the Vajolet valley. In front of the Gardeccia hut, the so-called Larsec path (583), which descends slightly at first, passes almost flat around the rocky promontory of the Gran Fermada (2446 m) and the cliff of Socorda (2523 m). Then the path becomes steeper (at 1837 m) and in the end (at 2026 m) turns into the famous Scalette-climbing path. The Scalette Pass is rather difficult, and in some sections rather steep, before crossing the extensive Lausa valley surrounded by rocks and climbing up to the same-named (2700 m). This part of our hike is of exceptional beauty and runs amidst a unique Dolomite landscape. From Lausa pass go north-westwards steeply downhill (mark 583 b) until reaching the ascent 584, which comes from the Antermoia Lake. Along scree slopes you go west (to the east you arrive in 20 minutes to the Antermoia hut) first to the Antermoia Pass (2770 m) at the foot of the Kesselkogel and then you descend to the slightly lower Grasleiten Pass and the small Grasleitenpasshütte (2600 m). Along path 1 you descend on a gentle descent over a wide scree hillside into the Grasleiten valley. At the fork, follow the path 3a (the road marked with the number 554 to the right, across the Molignon Pass). After a short rest in the particularly beautiful and very cozy Grasleitenhütte you descend down into the green Tschamin valley. After crossing this long valley, the Tschaminschwaige in St. Zyprian can be reached in 2 ½ hours. From Vigo in the Fassa valley, the cable car from Ciampedie brings us quickly to 1996 m. From the mountain station, head down westwards to the Negritella hut, where the path 540 descends, a pleasant path which leads through the forest, then along the mountain slope to the Catinaccio and Gardeccia alpine huts (1950 m). Here you leave the path and continue on a wider road (546) to the Vajolet and Preuss alpine huts. In the summer months, this way is chosen by a high number of hikers. Around the rock elevation of Porte Neigre, the road winds up steeply to the huts. In the immediate vicinity, a path leads to the Gartl hut and to the Santner Pass at the foot of the Vajolet towers, the second and more comfortable way 584 takes us through the Vajolet valley up to Grasleiten Pass (1 hour). On the Grasleiten Pass (2600 m) there is a small hut, on the right a narrow path leads to the Antermoia Pass (2770 m). We cross the Grasleiten Pass and descend into a rocky mountain range. Again we come to a fork in the path, the climb 554 leads zigzag up to the Molignon Pass, while we descend north-west along path 3a into the narrow and steep Grasleiten valley to the Grasleiten hut. The hut, erected on a hillside elevation, fits wonderfully into the landscape and is appreciated by hikers because of its cozy rooms. From the Grasleiten hut it goes westwards on a long descent down into the green Tschamin valley. Throughout its length, the path surprises us with magnificent panoramic views. Down in the valley we cross the Tschamin brook and hike to the Rechter Leger meadow. After 2 ½ hours you reach the Chaminschwaige. In the north-west of the village of Campitello in the Fassa valley, the long Duron valley begins, in the middle of which is the Micheluzzi hut (1850 m). Since the tour is very long, we recommend to use the possibility of the taxis service to drive to the hut. From there it goes on a wide path of about 500 meters to the L. Brach alpine hut (1856 m) and after another 600 meters to the Miravalle alpine hut (1880 m). Now follow the mark 578 to the west, cross wide meadows and climb up to the Ciaregole Pass (2282 m). From the pass, the path leads along the ridge towards the south and flows into path 580 above the Plan de le Gialine. This trail leads up to the Dona Pass (2516 m), then the Antermoia hut (2599 m) and the Antermoia mountain lake (2495 m ) At the foot of the cliffs of the Croda del Lago crest (2806 m). From there it goes steeply uphill to the Antermoia pass (2770 m) and then moderately down to the Grasleiten Pass (2600 m). Now the long and rather steep descent (Marks 1 and 3a) begins at Grasleiten hut and down into the Tschamin valley. Our ultimate goal is the Tschaminschwaige in St. Zyprian at the entrance of the Tschamin valley. Taxi service: In Campitello there is a taxi service to the Micheluzzi hut: jeeps with nine places go directly to the Micheluzzi hut. For further information, please call 339 6586215 or call 0462 750241. From Compatsch you can reach Saltnerschwaige in a pleasant hike quite quickly, and then you will cross the Frötsch stream and on the tourist trail 5 (the most frequently used and famous Schlern access way) in steep serpentines up to the Schlern high plateau). At an altitude of 2400 m, you reach the high pasture meadows of the Schlern high plateau and the Schlernhäuser (2457 m) a few minutes later. The great alpine hut under the Petz peak with its additional buildings (therefore the multiple name Schlernhäuser) was ceremoniously opened on 23 August 1885 and praised as the most beautiful and grand alpine hut in Tyrol. In front of the building, the view opens over the Rosengarten group and further over the Latemar group. The Petz (2568 m) can be reached in 20 minutes. Up there you can enjoy a unique panoramic view. The descent to St. Zyprian takes place on route 2, passing by the AVS hut and on to the Chachatschsattel (2069 m). Then the trail leads down steeply through the so-called “Bärenfalle”, partly over bridges, to Weißlahnbad. Located at the foot of the Rosengarten, Tiers is the ideal starting point for climbing tours and excursions to the kingdom of King Laurin. 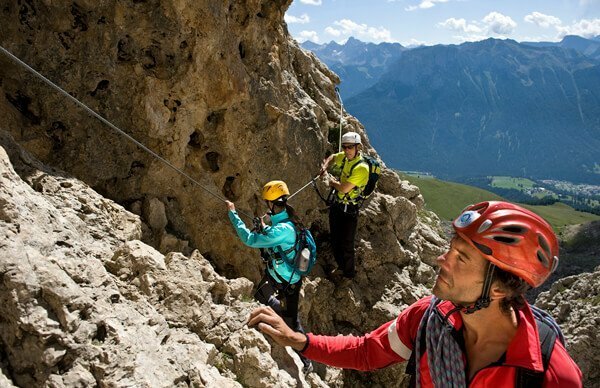 Mountaineering can be done in the Dolomites from morning to night, on different paths and via ferrata or in a climbing garden. In the mountains you have an endless view of peaks and valleys and realize how small we humans are in proportion. Far and wide you can only see rugged rocks and jagged peaks, further down there are lush green valleys, meadows and forests. The blue sky and the bright sunshine make the natural experience perfect and will give you an unforgettable mountain holiday in Tiers am Rosengarten. 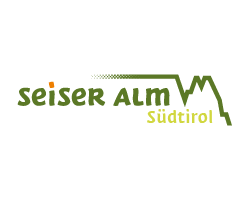 In cooperation with the Rosengarten Alpine School, we offer climbing courses for beginners and advanced as well as a climbing week with excursions to the Vajolet towers, to the Rosengarten peak, the Santner Pass, the Rotwand and the Latemar. 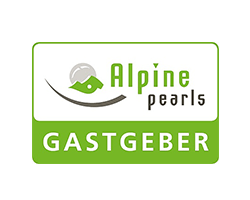 The certified mountain guides teach first-class climbing and safety skills, sharing helpful tips, to children and adults during trial and day climbing courses in various rock climbing gardens in the Rosengarten area. Prior knowledge is not mandatory and the equipment is provided by the climbing school if necessary. 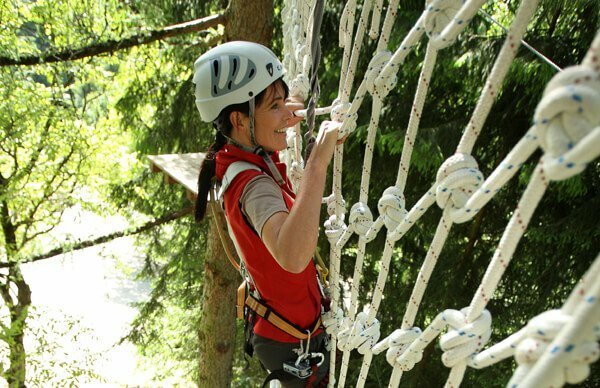 What you should bring along: dizziness, sportiness and a great dose of fun! If you would like to prepare yourself for an alpine tour or a via ferrata, you should visit a climbing garden. From Weisslahnbad you reach the Sumpferwandl climbing garden in 30 minutes, where you can practice 25 routes from 5c to 8a. 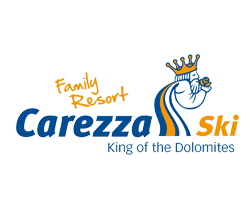 In Welschnofen, at the foot of the Rosengarten, there is the family-friendly Carezza Lake-Kluan Rotwandl climbing garden with 70 routes from 4 to 7c. The highlight of your mountain holiday is surely the mountaineering and climbing in the Dolomites. When climbing, you can look forward to steep ridges, imposing towers, rugged rocks and jagged peaks. The Rosengarten alone offers you 6 climbing routes that are suitable for different levels with different coefficient of difficulty. We would like to give you a look of the most beautiful routes, but we would be happy also to advise you directly on-site. Rosengarten hut 2339 m, the most beautiful ascent to the heart of the Rosengarten, surrounded by craggy walls and towers with magnificent views. Paolina hut 2125 m. An exemplary secured climbing route over the north ridge to the Rotwand peak, the main summit of the southern Rosengarten group, 2806 m.
Rotwand hut 2280 m. This rocky path is linked to the Rotwand climbing route to the south and leads from the Rotwand hut to Punta Masarè, 2585 m. From here descend to Rotwand hut. Grasleiten Pass hut 2599 m. The Kesselkogel, 3004 m, is the highest peak of the Rosengarten group and is considered one of the most beautiful vantage points of the Dolomites. The top of the Kesselkogel can be reached ascending form west or east. Tierser Alpl hut or Antermoia hut, 2441 m. The Laurenzi via ferrata, the only via ferrata over the Molignon crest, leads through a high alpine, so far a rarely committed area between Tierser Alpl and Antermoja. On the north side, the steep crevices going down into the lush green Duron valley and the wide Seiser Alm. On the southern side the huge backdrop of Kesselkogel – Rosengarten, the Pala group, up to the Queen of the Dolomites, the Marmolada, 3343 m.
Gardeccia hut, 1950 m. The Scalette route is also called Larsec way. Larsec is the name of a largely unknown mountain chain, located east of the Rosengarten group. The trail leads from the Gardeccia hut through the Larsec group to the Antermoja hut, 2497 m.
From the Schlernhäusern (2457 m) go eastwards on path 4 in direction Tierser Alpl. At the fork, follow the “Roterdspitz, Maximiliansteig”. The path runs over the crest of the Rosszähne. From the Roterd peak, the highest peak of the ridge (2655 m), you can enjoy an extraordinary panoramic view (don’t forget the camera and the binoculars). This is where the actual climbing route begins. After a steep and somewhat deserted descent, you continue along the ridge to the north-west ridge of the Great Rosszahn with the characteristic rock window, you cross it and climb over the other edge of the mountain to the peak (2653 m). Now we go down a safe path into a ridge and southwards through a steep ravine into a cliff above the Tierser Alpl. The climbing route is quite exposed in its entirety, although it does not present any particular technical difficulty, but it requires some experience and sure-footedness. The Maximilian via ferrata offers hikers wonderful panorama views. We need to mention that the Tierser Alpl can be reached on an easier path from the Schlernhäusern, on the trail 3-4 above the Tschamin valley or above the Bärenloch. After the narrow ravine between the Great and the Eastern Roßzahn, you reach a plateau (a nice view over the Seiser Alm) and then turn left to the summit ridge to the highest point, 2630 m.
Obereggen, 1550 m. Ascent to Latemar peak, descent to Rigatti bivouac. Beginning of the via ferrata on the south side of the Latemar from east to west.